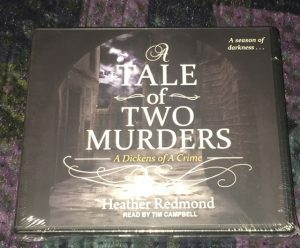 Heather Redmond is giving away a physical copy of the CD audio version of A Tale of Two Murders. You don’t want to miss hearing the amazing Tim Campbell work his accent magic. Join the newsletter on http://www.heatherredmond.com before Thursday, August 9th. This entry was posted in Uncategorized on August 5, 2018 by Heather.